Sew what's cooking with Joan! 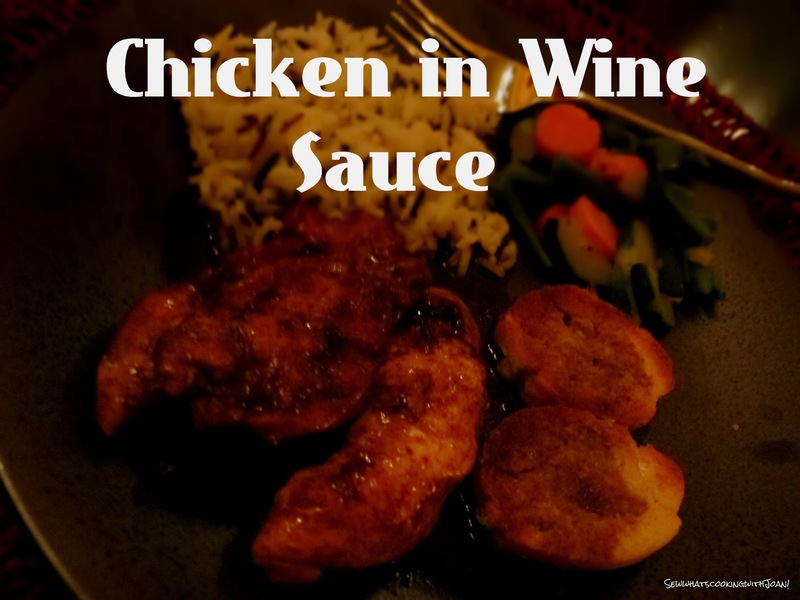 : Chicken in Wine sauce! Wee Bear style! Wee Bear surprised me with this delicious chicken in wine sauce, on our very first Valentines Day dinner at his home nearly 20 years ago. 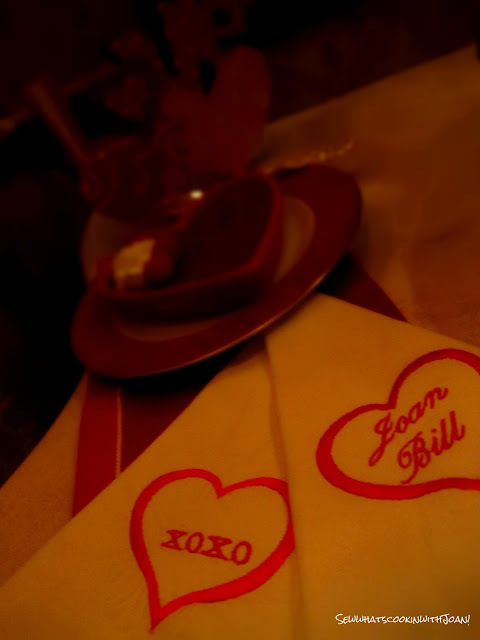 He decorated with flowers, GIANT balloons and served on his finest china. 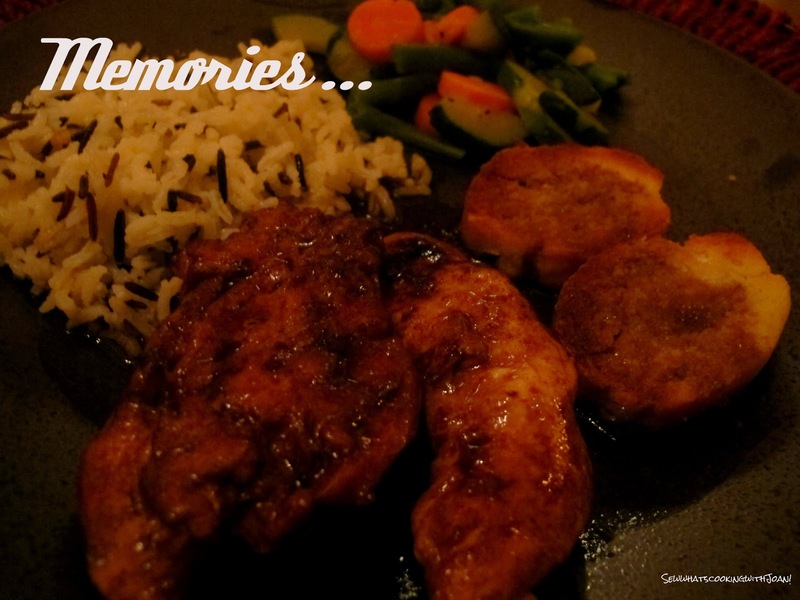 He served this sumptuous dish with a mix of white and wild rice and grilled crostini. With his sister Kathy, standing by the phone for guidance, he took on this challenge, to impress his honey with his kitchen prowess. 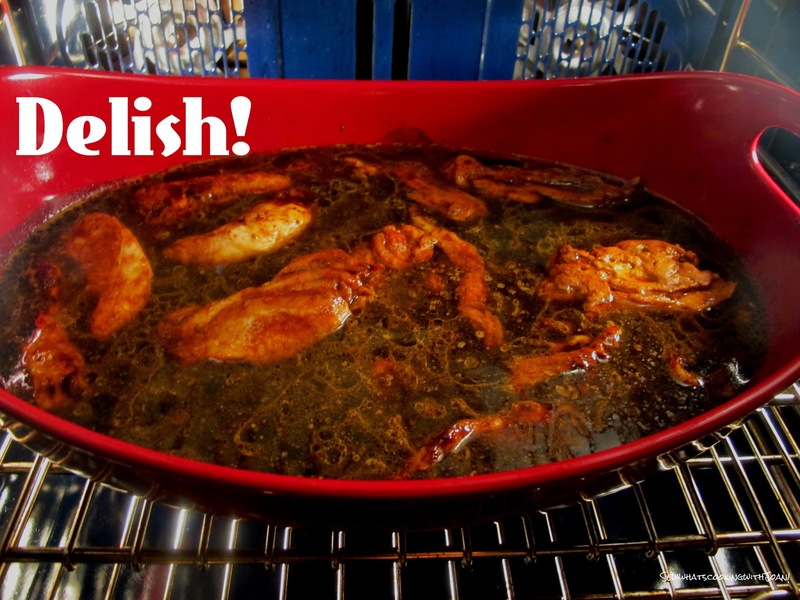 It was so cute and I was very impressed, when I arrived at his home, to smell of this amazing chicken baking in the oven. The recipe came from Wee Bear's Mother Pat, who was an accomplished cook and baker. It tastes so rich and divine that you'd never suspect it's so economical and quick to prepare! The final dish is velvety and fragrant with wine. This quickly became a family fave and one of my go to dishes. 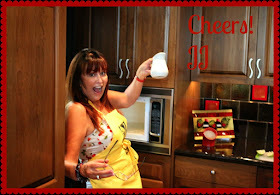 It is elegant enough to serve at a dinner party and everyone we serve it to, loves it! 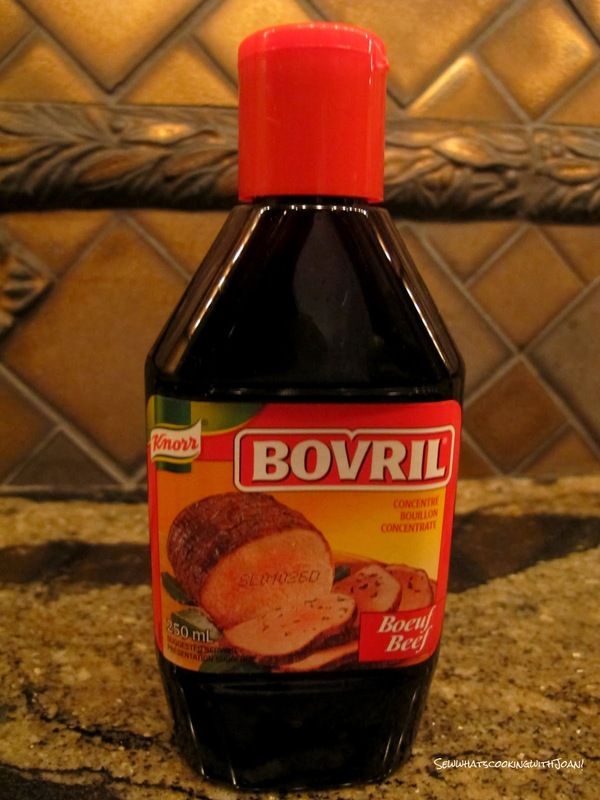 Bovril is a beef or chicken stock concentrate created by a Scot in 1886. Manufactured by the British branch of international company Unilever, there are over 3 and a half million jars sold on an annual basis. Easily found in Canada, Mexico and Europe. In U.S. you can order on line, find at The English section of your grocery store...sometimes, or order from your grocery store. When in Canada or Mexico I buy 10!! Worth it!! If you can only find the Bovril paste, just add 1 cup of water to 1 teaspoon of paste to make the Borvil sauce. Pre-heat oven 425 degrees. Paprika and pepper breasts on both sides. Melt butter and add BV. Put in cake pan with breasts. Bake 20 minutes. Add white wine and water, cook 20 minutes more. Serve with rice, vegetables and crostini. Wee Bear did great! This is one I'll have to whip up for TT.